Description We want our customers here at Honda of Jefferson City to be customers for life. Being car-owners ourselves, it's only fitting that we'd provide our customers with the kind of courtesy, service and respect that we would expect. We not only want you to feel this way during the shopping phase but also years later when you look for your next ride! 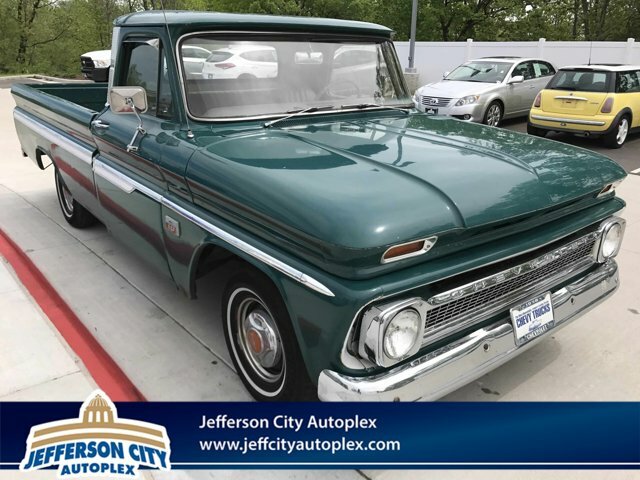 1966 Chevrolet C/K 1500 Silverado Proudly serving Jefferson City, Columbia, St. Louis, Kansas City, Springfield, Lake of the Ozarks and more! If you are looking for your next new or used car, truck or SUV. We have it! If you are asking yourself what is my trade worth, we can help you answer that! Good or bad credit, our friendly finance department can offer you competitive loan options or lease financing options. We have a full parts and service department and certified technicians. No matter what make or model we have got you covered! Call us or visit us anytime. Hondaofjeffersoncity.com.